I don't know anything about this band, Kowloon. I see some familiar faces within the credits to this Public Image-esque musical company though. I certainly like the name, the same as that of a huge city once located in Hong Kong like a place from a cyberpunk story. I have a track with the name of the same place coming out on some zine sometime in the near future. For now, there is this. I don't like the cover to Big Trouble! that much. I like the base image of a blue flower. However, the way that the image is copied to the left is not that interesting, and the text looks sloppy. The text is my biggest issue, no border or interesting font. Perhaps most strangely, the image as a whole does not seem to be the correct proportions for any media format. The cover has the ingredients to be pretty cool; it just needs to be put together better. Thankfully the musick greatly makes up for the failed cover. Big Trouble! starts with a little sound like a logo in a movie appropriately titled "Company Credits". It's a little crystal sounding blip of transference. Next is the vaporwave R&B of the title track. I really like the little keyboard stabs and the subtle bass fills. "Big Trouble!" is a very dreamy song. The only thing I find somewhat unpleasant about it is the differing amounts of reverb on the various instruments. "Tricolor Theme" is much different than the pop of "Big Trouble!". This is a slow, ambient song, windchimes somewhere that might be dark and scary, a supernatural glow on the horizon. The second-half comes in with "True Silk", a return to that neon night of "Big Trouble!". The keyboard and saxophone are beautiful, and the bass provides an awesome counterpoint to the rest of the musick. The vocals are unfazed and don't follow the song closely. It's really great. "Eyes of Those (Tomorrow's Light)" continues the sound from the previous songs with more bass and no vocals. I really enjoyed it. "Company Outro Credits" closes it out with a song like a movie ending theme condensed into a minute, the waves lapping at a shore somewhere in Technicolor. 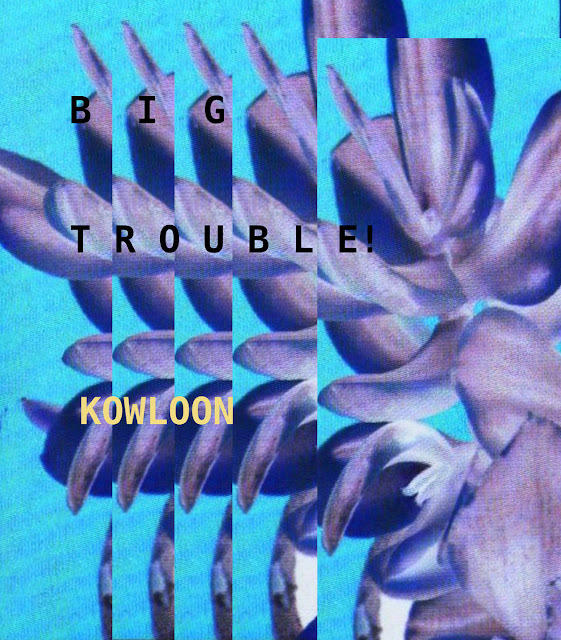 The musical employees at Kowloon certainly did a good job on Big Trouble! I enjoyed all of the tracks, and the presentational logo themes make the package. I do think that perhaps this sort of video OVA, neon, Sega Saturn aesthetic is getting somewhat played out nowadays, but I really like it at the same time. I am interested to hear the album mentioned as upcoming on Kowloon's site, Tricolor Jade. I'll definitely be on the lookout. Big Trouble! gets a Good.